Susan Athey is the Economics of Technology Professor at Stanford Graduate School of Business. Born in 1970, she received her bachelor’s degree from Duke University and her PhD from Stanford, and she holds an honorary doctorate from Duke University. She previously taught at the economics departments at MIT, Stanford and Harvard. Her current research focuses on the economics of the internet, marketplace design, auction theory, the statistical analysis of auction data, and the intersection of econometrics and machine learning. She has focused on several applications, including timber auctions, internet search, online advertising, the news media, and virtual currency. She advises governments and businesses on the design of auction-based marketplaces. She has served as a long-term consultant for Microsoft Corporation since 2007, including a period as chief economist. She also serves as a long-term advisor to the British Columbia Ministry of Forests, helping to architect and implement their auction-based pricing system. At the age of 36, Professor Athey received the John Bates Clark Medal. The Clark Medal was awarded by the American Economic Association every other year to “that American economist under the age of forty who is adjudged to have made the most significant contribution to economic thought and knowledge.” She was elected to the National Academy of Sciences in 2012 and to the American Academy of Arts and Sciences in 2008. In 2000, she received the Elaine Bennett research award, given every other year to an outstanding young woman in any field of economics. She received continuous funding from the National Science Foundation from 1995 to 2008, including a prestigious Career Development award. In addition, she received the Sloan Foundation Research Fellowship for 2000-2002. She was elected as a fellow of the Econometric Society in 2004, and she is a Research Associate at the National Bureau of Economic Research. She was a National Fellow at the Hoover Institution in 2000-2001, and in 2004-2005 was a fellow at the Center for Advanced Studies in Behavioral Science at Stanford. Professor Athey is a member of the President’s Committee on the National Medal of Science, as well as the Honors and Awards Committee of the American Economics Association. She served as an elected member of the executive committee of the American Economic Association; as an elected member of the Council of the Econometric Society, and an elected member of the Council of the Game Theory Society. 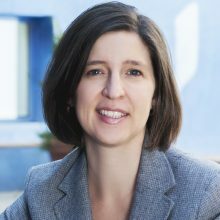 She has served as co-editor of American Economic Journals: Microeconomics and Journal of Economics and Management Strategy, and as an associate editor of several leading journals, including the American Economic Review, Review of Economic Studies, Quarterly Journal of Economics, Theoretical Economics, Econometrica, and the RAND Journal of Economics, as well as the National Science Foundation economics panel. She was the chair of the program committee for the 2006 North American Winter Meetings, and she has served on numerous committees for the National Academy of Science, Econometric Society, the American Economic Association, and the Committee for the Status of Women in the Economics Profession. She has also served on program committees and delivered keynote addresses for numerous conferences in computer science. Non-academic honors include being named as a World Economic Forum Young Global Leader, Fast Company’s 100 Most Creative People in Business, Diversity MBA’s Top 100 under 50Diverse Executives, Kilby Award Foundation’s Young Innovator Award, and the World Innovation Summit on Entrepreneurship and Innovation’s World’s Most Innovative People Award.